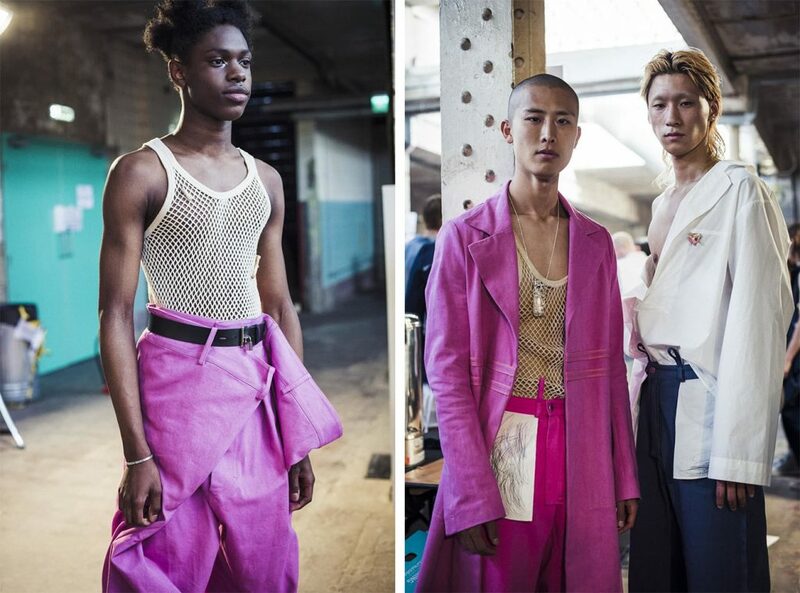 Per Götesson has been reshaping men’s fashion since 2016. 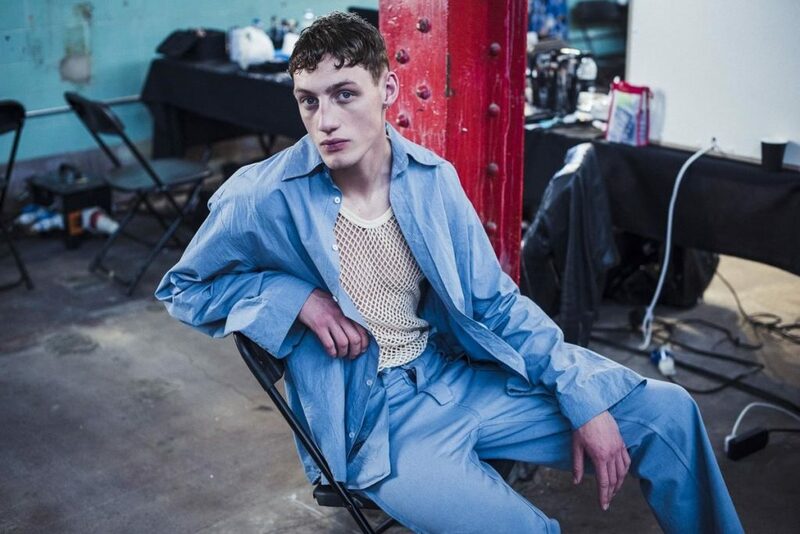 The Swedish designer reveals destructured, conceptual pieces that sometimes verge on British grunge style. Per Götesson grew up in Björksnas, an isolated little village in the middle of a Swedish forest. With his already obvious artistic sensibility and overflowing imagination, the young boy stood out from the other children. Hair dyed purple or orange, polish on his nails… his style remained controversial at times, in a place where fashion was still relatively inaccessible. After graduating from Beckmans College of Design in Stockholm, Per Götesson then moved to London to study at the prestigious Royal College of Art. Alongside Ann-Sofie Back, Cheap Monday’s creative director, the Swede found a real source of inspiration for his future collections. His talent was very quickly spotted by Lulu Kennedy. As she had done for many designers including JW Anderson, Roksanda Ilincic and Jonathan Saunders, “fashion’s fairy godmother” (as she is nicknamed) helped the designer make a name for himself thanks to her young talent incubator. 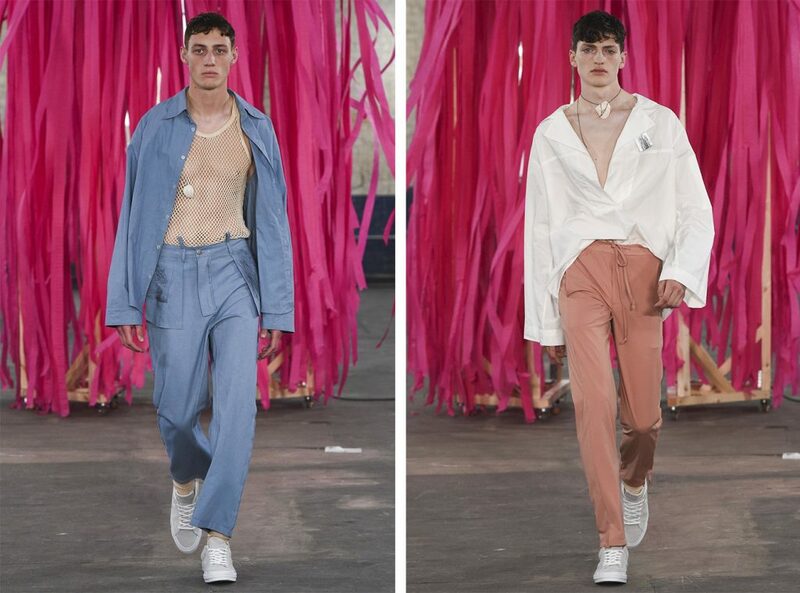 Following initial shows under the umbrella of Lulu Kennedy’s MAN collective, in 2018 Per Götesson took part in Fashion Week for the first time as an independent designer. 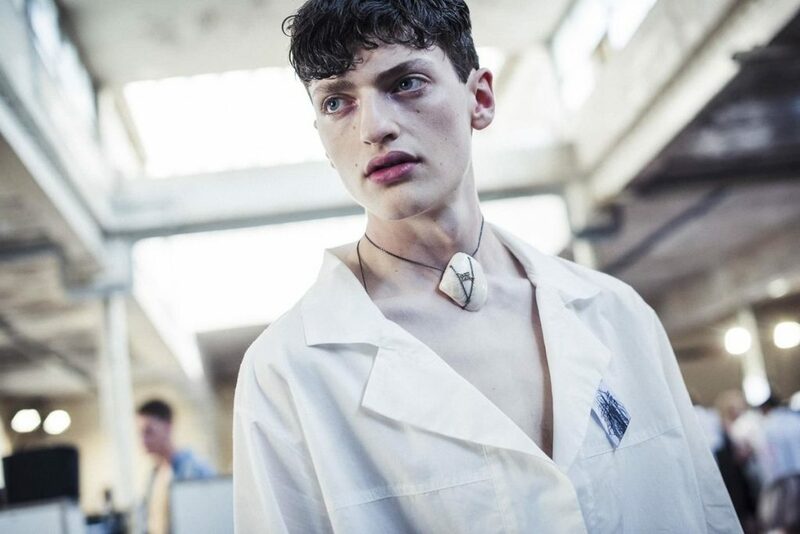 Inspired just as much by his everyday environment as Elsa Schiaparelli’s designs, the designer creates contemporary and casual pieces for men, blending unbridled British style with Scandinavian charm inherited from his maternal roots. 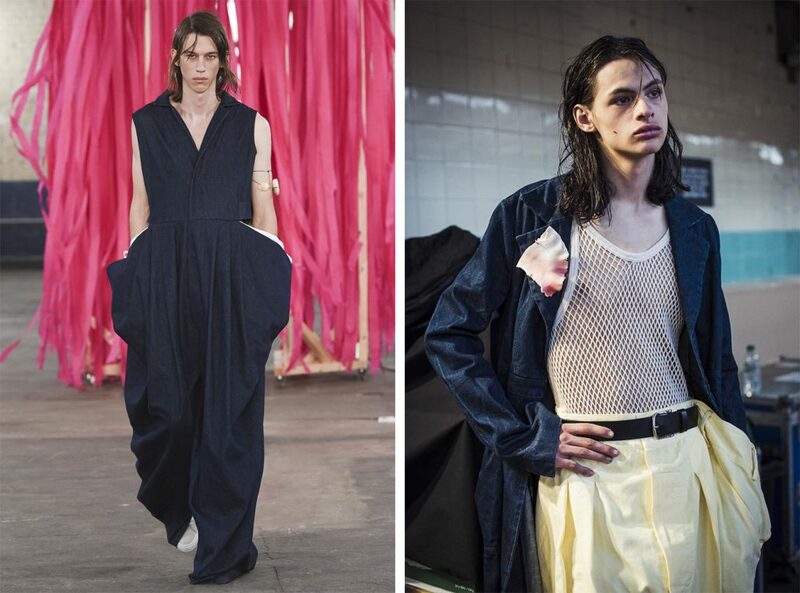 Per Götesson’s simple and practical looks clearly reflect his desire to experiment, to create silhouettes that are both couture and urban, masculine yet romantic. “The man that I dress does not dress awkward, but he dresses to look cool and feel good,” he states.